El Valle de Los Ranchos Water & Sanitation District is dedicated to promote and protect now and for future generations the quality of surface and ground water for the health and safety of the residents of the District. 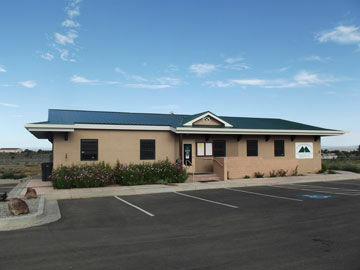 The Board of Directors and staff of El Valle de Los Ranchos Water and Sanitation District welcome you to our website. We hope that this site will provide you with useful information about El Valle de Los Ranchos. As you will discover, the simple purpose of the District is to protect the waters of the area that the District encompasses. To accomplish this purpose requires commitment from the community and funding from a variety of sources. The District is installing a community wastewater system as an alternative to and a replacement for the many septic systems that abound in the Taos Valley. According to the New Mexico Environmental Department, septic systems are the leading cause of groundwater contamination in the state.